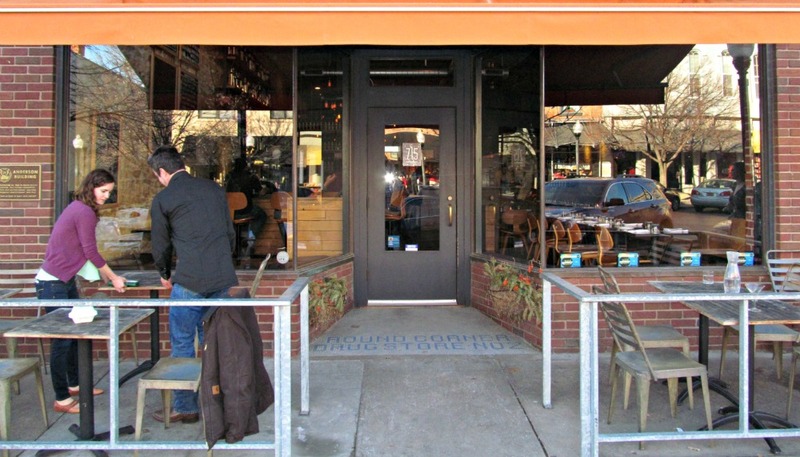 According to the February 2015 edition of Feast Magazine, “Where We’re Dining KS” is at 715 located at 715 Massachusetts St. in Lawrence, Kansas. 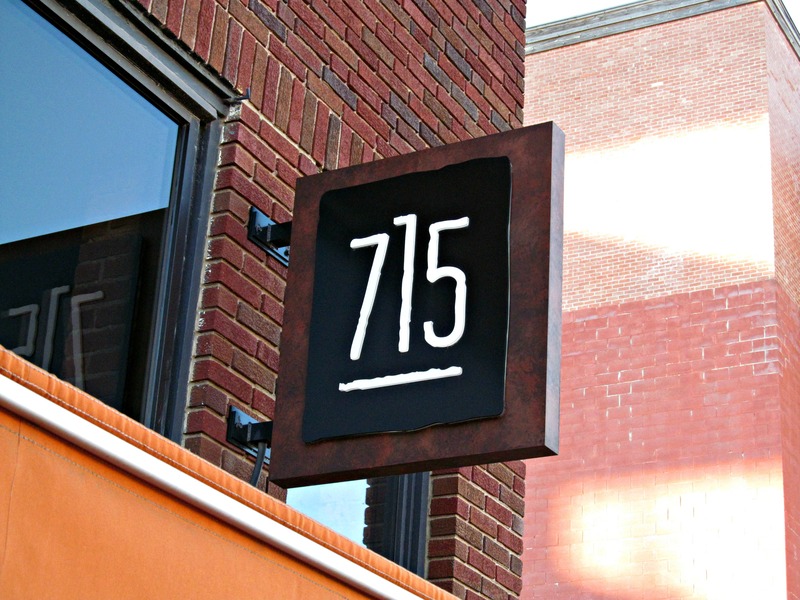 Coincidentally, former Douglas County Horticulture Extension Agent Jennifer Smith suggested that 715 might have some great pork on the menu, and with that in mind, I should check out the possibility of dining there someday. I just happened to walk by 715 one unseasonably warm winter afternoon while hanging out with my friends Phillip and Sydney Pursel. Phillip and Sydney are father and daughter, respectively, and both are extremely talented Native American artists. We were walking down Mass Street and were looking for a place hang out and kill some time prior to attending a Powwow at Haskell Indian Nations University. As we passed by 715, it was suggested that we should stop, and I’m sure glad we did. 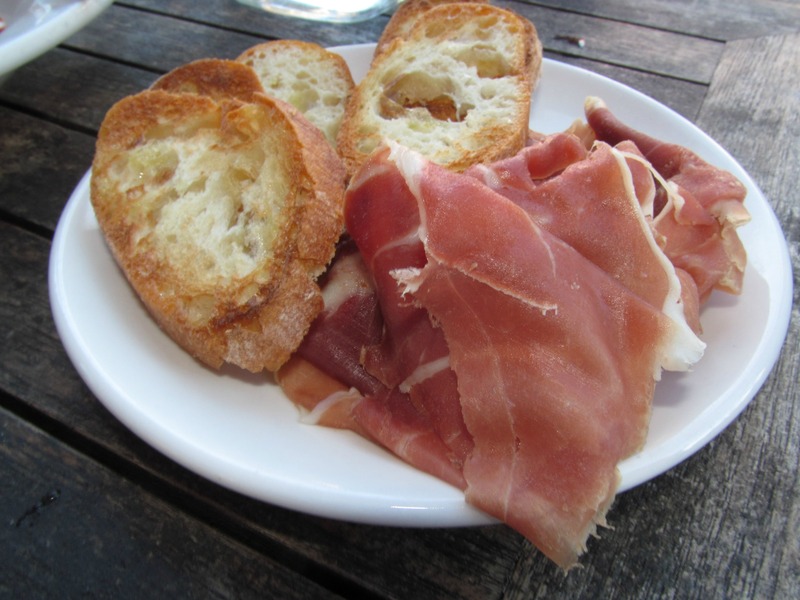 We ordered off of the happy hour (3:00 pm- 6:00 pm) menu and dined on pork meatballs and the popular menu item prosciutto di parma (one of three prosciutto options). The happy hour menu features some fantastic food and drink specials. We were fortunate enough to run into Pam, a local herb farmer, who offered great suggestions and comments about 715. 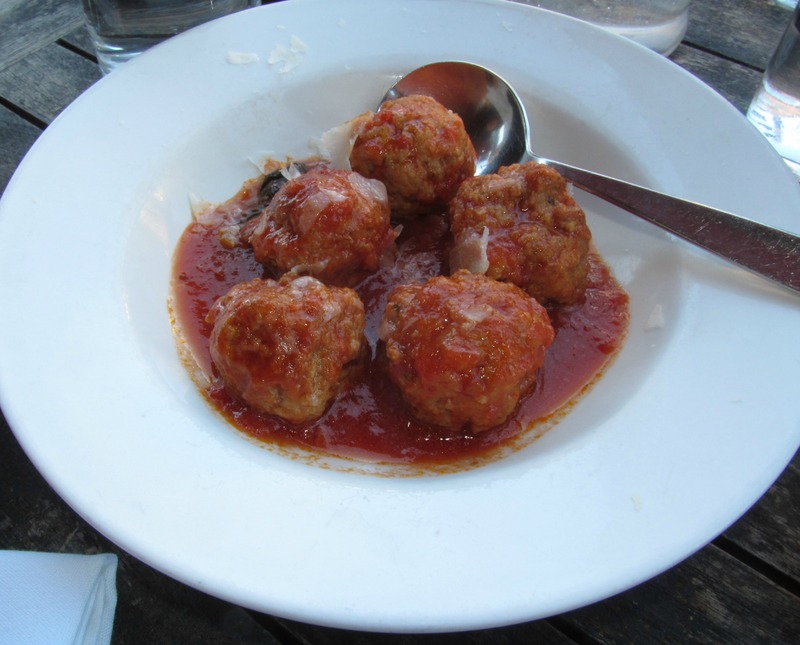 She told us that the meatballs were phenomenal and that she never tires of them. I could certainly eat plenty of them myself without tiring. They were extremely delicious. According to the Feast Magazine article, 715 is a “European-style bistro.” Having never been to Europe, I really can’t say. Having been all over Kansas, I can say that the atmosphere is strongly similar to another favorite Kansas restaurant; Bourbon and Baker located in Manhattan, Kansas. Both restaurants are great places to eat pork, drink, see and be seen.